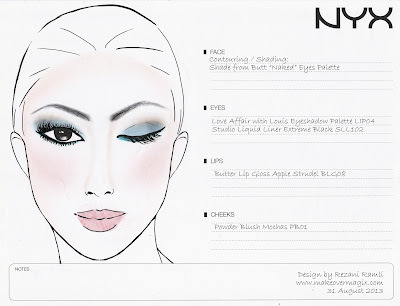 The main product used in the face chart below is NYX Cosmetics Love Affair with Louis LIP04 eyeshadow palette. 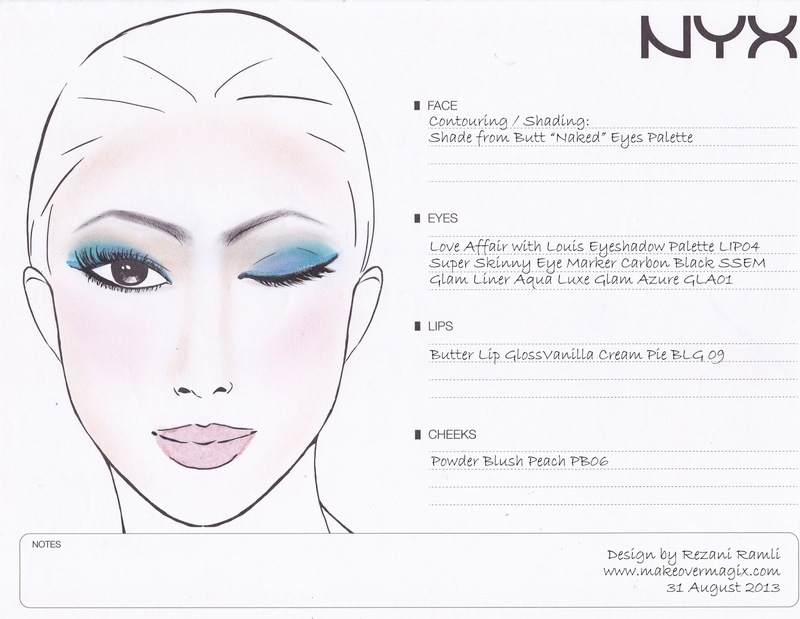 I really love the emerald green and blue shades in this palette. It's moderately shimmer which means you can use it for day or night.